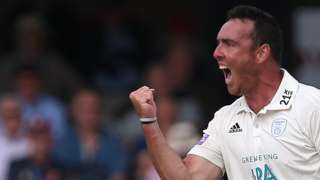 Hampshire beat Somerset inside two days to leave Surrey on the brink of sealing the County Championship title. 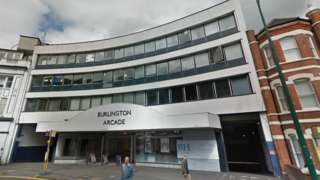 The group was discovered in a lorry in Portsmouth following a call by a member of the public. The BBC South Live service will resume at 08:00 on Wednesday. We hope to catch you then. Have a good evening. A woman died after choking on chocolate cake while being monitored by two hospital staff members, an inquest has heard. Anne Roberts, 68, died in September 2017 just days after staff at Prospect Park Hospital in Reading had to revive her following an almost identical incident, it was heard. Miss Roberts, from Whitley in the town, was admitted to the hospital after she tried to take her own life and was subsequently detained when her mental health deteriorated. She was limited to “soft food” after the earlier choking incident, but one of the two health care workers watching her at the time of her death said what that meant had never been properly explained to him. If it had, Abdul Halim Uppel said he would not have allowed a lunch of a sandwich and chocolate cake, the jury inquest was told. 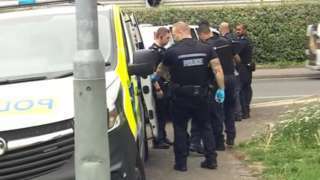 Mark Sinclair, 30, appears at Reading Crown Court charged with murder and is remanded in custody. A petrol station in east Reading has won a licence to sell alcohol 24-hours-a-day, despite the council's licensing team, police and a local resident all objecting to the plans. The Wokingham Road business, BP Weldale Connect, already had a licence to sell alcohol from 08:00 until 23:00. Police failed to provide evidence of public disorder and the local resident didn't attend the hearing, so the application was approved. 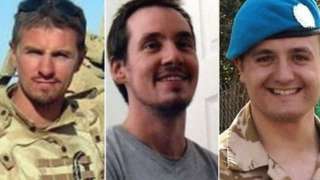 Two men are on trial after the deaths of three soldiers following a 16-mile selection march. Dorchester planners have recommended the council objects to 3,500 new homes being built in the town. The authority's planning committee voted unanimously to reject the proposals for the north of Dorchester at a special meeting on Monday night. 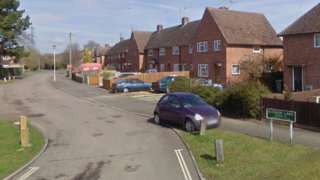 A spokesman said the policy "carries a significant level of risk and will fail to address the local needs of the town". 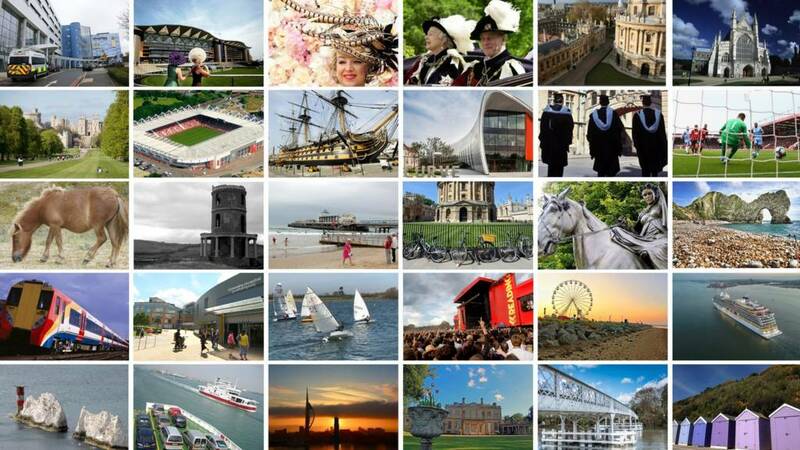 He added it would not "produce a comprehensive, relevant, viable and sustainable development that supports the area's future rather than destabilising it". A final decision is expected to be made by full council on 25 September. A35 Hampshire both ways severe congestion, between A3057 and A33. A35 Hampshire - Queuing traffic on A35 Winchester Road in both directions in Shirley between the A3057 junction and the A33 junction. Video caption: The sound of the church bells of St George, Brailes, in Warwickshire.The sound of the church bells of St George, Brailes, in Warwickshire. The sound of the church bells of St George, Brailes, in Warwickshire. Oxford University is to grow its partnership with Germany's largest cultural institution, SPK. The institutions have already worked together but have now signed an agreement to share their globally renowned cultural and scientific collections, as well as a scholarship scheme. Oxford has already announced a new research partnership with Berlin's four main universities. A founder of the Muzo Akademy has said its members have been left devastated by a council decision to allow its Witney home to be developed into a block of flats. The community training centre - which teaches music to children and adults - now needs to vacate the Rock Barn building where it's currently based. Bracknell Forest Council is set to overspend on social care by almost £500,000 for support needed for just four clients. A report outlining the performance of the local authority's adult social care, health and housing department said the overspend was "worrying" but suggested the spending showed more funds were being directed to services protecting vulnerable people. The report also showed the council is on target to deliver the majority of its adult social care services, but is behind schedule in installing its 'lifeline' devices. Those who use lifelines include people at risk of domestic violence, suffering from illness and people at risk of falls. Plain-clothed armed officers were seen to swoop on a car in the street in Southampton. A Bentley car is among items seized by fraud police investigating loft insulation firms. 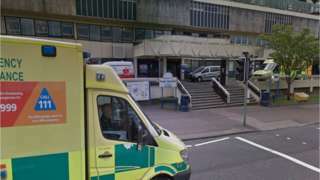 The A&E service is due to move from Poole to Bournemouth under a healthcare shake-up. More support is needed if Oxford City Council wants to rid toxic emissions from the city centre, it has been claimed. Last year, the council announced it would ban all petrol and diesel vehicles from central Oxford by 2035 - creating the first zero emissions zone on the planet. But traders in the Covered Market said electric cars would be too expensive for businesses. Councillors are at a summit in Birmingham as Theresa May sets out plans today to boost the zero-emission vehicle sector, pledging more than £100m in funding for research and development in low-carbon technology. Video caption: Hundreds turn our for Royal Berks Charity fundraiser.Hundreds turn our for Royal Berks Charity fundraiser.